With near to 500 followed blogs on my Bloglovin' account it's sure to say I'm blog obsessed! I of course read a lot of beauty blogs but I also follow a huge range of other blogs from lifestyle, to food blogs and I'm forever on the look out for good book blogs to read. Bookswept is a book blog with a simple and clear concept that I love. Taking quotes from books she has read, Yuri pairs them with a simple image to note down and remember each book she has read. 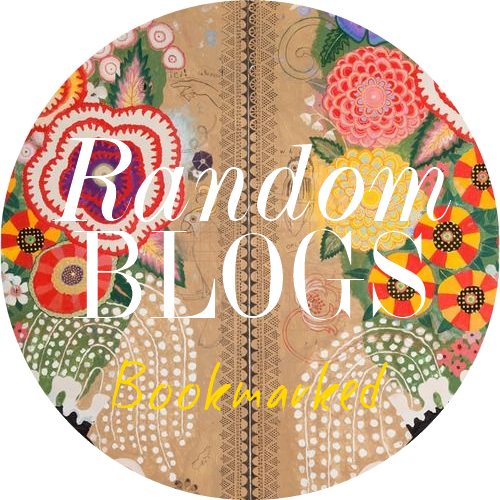 I love the idea of this alone but as blog reader of Bookswept this gives a keyhole look inside each book that makes you either want to find out more and read the book or to more on and read another quote. I also find I always have Amazon open along side this blog! Dana, blogger of Wonder Forest, has to be one of the most creative people I have come across, she is literally creative woman wonder of the internet! This shines through each post on Wonder Forest whether it's a DIY project, a personal post or technology related. Dana just oozes creativity and somehow inspires me to be more creative through her posts. A beautiful blog to check out and enjoy. Another super creative and interesting design blog that never fails to teach me something new. Nubby Twiglet is packed full of varied posts and great photography making it a blog I always check up on every few days. Much like cookbooks I read most food blogs without the intention of ever trying a recipe out! However Katie Cakes has been the only blog to pull me out of this cycle and actually cook some of the recipes I discover. With simple recipes that don't require a thousand different ingredients or too much skill there is always something I want to try from Katie's blog. Plus her food photography and baking skills are something to swoon and drool over. My ultimate interior design blog here that is jam-packed full of inspiration. This is a blog I've been reading for over 4 years now and has provided me with so many ideas for my own home. My favourite series has to be 'Pets on Furniture' which my little dog Ruby will feature in one day! Hopefully you have discovered a few new blogs here!